One of my best friends has a February birthday and she had asked me months ago about making her a cobbler's apron because she doesn't like the kind that loop over your neck. 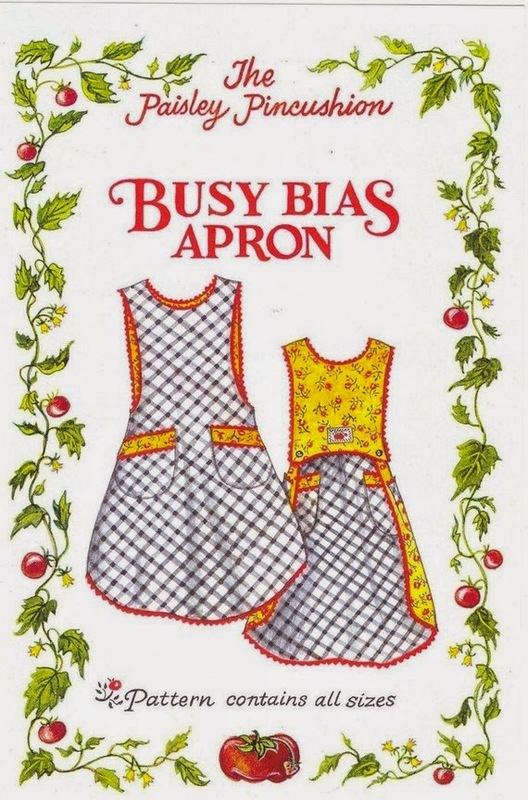 I had a hard time finding any cut cobbler apron patterns, but after searching through various apron patterns on Etsy, I finally came across the "Busy Bias Apron Pattern". I liked it because it was reversible and just slipped over the head, no neck ties, but still looked nice and girlie. I thought it might fit the bill, so I ordered it. The pattern is an actually tissue paper pattern which has pros and cons as a cat owner. Pro is that you don't have to tape together 25 pages like a PDF, con is cats love tissue paper and I had to finally lock the little fur babies out of my sewing room because they kept laying on the pattern and trying to attack it whenever I smoothed or moved it. Lori loves green, and I had some Amy Butler fabric that has been in my stash for years which I thought would be perfect. I did have to buy the green lining fabric, but it wasn't very pricey. I think the finished results turned out pretty cute! Since it is a tissue paper pattern, you have to trace it if you plan on making it in different sizes. All in all, I'd make this pattern again. I think the end results are pretty cute. 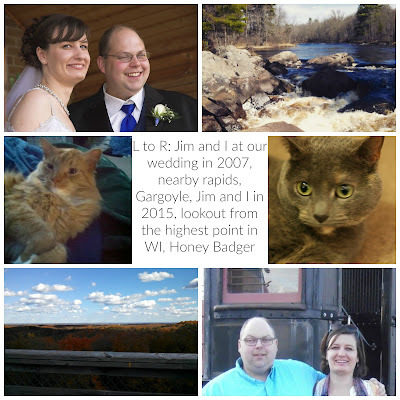 And Lori seemed to like it when we finally got together a few weekends ago to celebrate our birthdays.